* Your music and story Featured in our Behind The Music Series PODCAST. 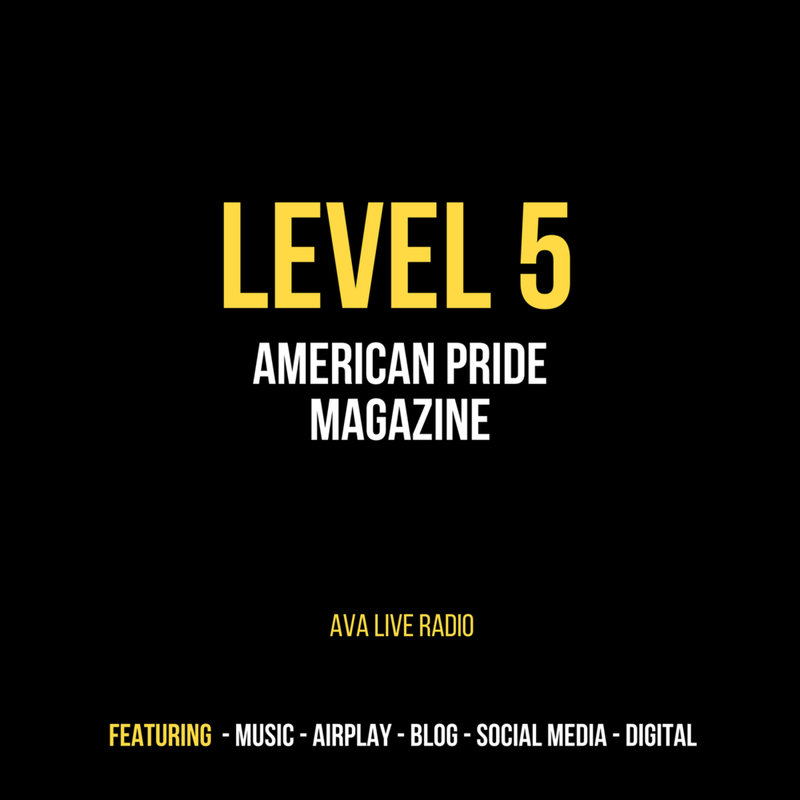 - A.V.A Live Radio featured article on the website. Our mailed press releases includes more than 3,600 fm and college radio stations in larger markets, film makers, commercial advertising agencies, booking agents and music journal writers. BTR, iTunes, Google play, Anchor fm, Amazon Alexa, Google Home, Apple CarPlay, Android Auto, Stitcher. * Professional Digital Banner add created and circulated on social media to help brand your work and image. * 15 Targeted Days of Social Media Marketing across facebook, twitter, instagram, google plus, tumblr & linkedin. Using your music links. * Facebook feature music add placement in 4 different spots for 2 weeks. featuring your music on 6 different music accounts with a Klout Score of 76+ Estimated reach 954,918. * Heavy Spotify rotation into the top 10 placement of at least 5 playlists for 1 month guaranteed. (If your song performs well, they can remain for up to 6 months.) We typically see a song gain 10 playlist spots depending on the genre of the song. If the song performs well, there are no limits. Some grow very quickly and some slowly but they all grow from this package. - A.V.A Live Radio website featured article with SEO music industry news Optimization. (560,000 music subscribers) Currently 3.9 million visits monthly. - Indie Music Spin featured blog release (130,000 READERS) A Music industry network announcement website. - American Pride Magazine Featured Article on the magazine website 477,000 monthly readers on email and 2 million views a month in traffic to the website. * 1 song featured in our New Music Monday series. * Social Media support, advertising on social media and you have a designated strategist to help with the launch. * Custom banners and art work designed for you if you do not have this available. Push Marketing Campaigns are created and customized to your marketing budget. They are perfect to market music videos on social media and target new fans to discover your music. - New views to your video range from 2,000 to 5,000 depending on the video but we follow each campaign closely to ensure maximum exposure. We have had some videos receive over 75,000 views in 1 month. Engagement such as likes, comments or subscribers is an impact of promo and we will auto post those comments to your page on our website so you can regularly check how your video is being received but since these are real people, please note that we can not predict how people will engage with your video nor can we force it. But it is certainly personally encouraged by our social media staff during your video promotion and requested of our audience. This encouragement does also typically lead to new followers to the social media page where we are directly encouraging those reviews. - A.V.A Live Radio website. Listed with image, bio and social media links on New Music Monday page. (560,000 music subscribers) This website currently has 3.9 million views a month. - Medium : Medium is an online publishing platform developed by Evan Williams (twitter founder) and launched in August 2012. The platform is an example of social journalism highlighting stories in all subjects including music and entertainment. * Press Release right from Indie Music Spin: Our mailed press releases includes more than 3,600 fm and college radio stations in larger markets, film makers, commercial advertising agencies, booking agents and music journal writers. * Your Song placed on at least 2 of our Spotify Playlists in the top 10 spot added in niche genre rotation. * Professional Digital Banner add created for you by our art department and circulated on Facebook, twitter, linkedin, Google plus and Instagram. * 1 Featured Story in American Pride Magazine : Featured Article on the magazine website 477,000 monthly readers on email and 2 million views a month in traffic to the website and social feed. * 1 Professional Digital American Pride Magazine Banner add created and circulated on social media. *Social Media Marketing across facebook, twitter, instagram, google plus, tumblr & linkedin. Using your music links. Professional launch package used by labels and management. - 1 A.V.A Live Radio website featured article with SEO music industry news Optimization. - 3 Indie Music Spin featured press releases (130,000 READERS) A Music industry network announcement website. - 1 American Pride Magazine Featured Article on the magazine website 477,000 monthly readers on email and 2 million views a month in traffic to the website. * 3 songs featured in our New Music Monday series.